If you’re thinking about buying a home, you might be wondering, “Should I buy a house now or wait?” It’s an important question. 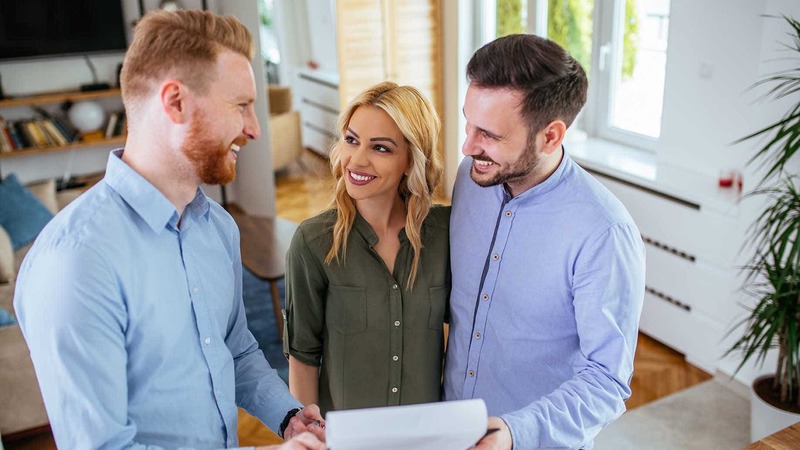 And, one of the best ways to determine if you’re ready to buy is to start visiting open houses to get a feel for what’s on the market, what you like, what you don’t, and how much house you can afford. Open houses are also a great way for buyers to quickly learn a lot about a home. The listing agent is present and can answer questions directly, which can save quite a bit of time. But what should you really look for, and ask, during an open house? Let’s take a look. Touring open houses can be an incredible learning experience, even if you’re not quite ready to buy yet. First, going through a lot of open houses can help you discover what you really want in your dream home, and what you don’t. You’ll start to get a firmer picture of your priorities, and you’ll learn not to be swayed by the smell of freshly baked cookies or that beautiful paint color in the living room. Visiting dozens of homes also teaches you, through sheer exposure, how to overlook the superficial flaws (like terrible staging or awful paint) and spot a great home when you see one. You’ll also learn how to quickly spot a dud. You’ll gain a thorough understanding of home pricing in your community. Over time (and dozens of tours), you’ll know when an asking price is fair for a home, and when the owner is asking too much. You’ll also learn how to communicate effectively with real estate agents. After you talk to a few agents, you’ll have a better sense of the lingo they use and the information they’re willing to share. You’ll also refine your own list of questions and know exactly what you need to ask to get the information you want. If you know you’re going to eventually sell your home, touring open houses can give you some remodeling ideas that will increase your home’s value. When you walk into an open house, it’s easy to get distracted by the beautiful living room or the perfectly staged bedrooms. However, you need to pay attention to the details of the home to determine if it’s a good buy, or a dud with serious problems. Look carefully at the baseboards, especially in the basement. Any signs of staining or warping can indicate past flooding or burst pipes. Stains on the ceiling can indicate a leaking roof. Pay attention to your nose as you walk through; if a room or area smells musty, it might indicate mold or mildew. Open up cabinets under the kitchen and bathroom sinks and look for tiny black spots on the back wall; this indicates the presence of mold. You should also look for black spots in the caulking around tubs and sinks. Look at exposed pipes carefully and check for rust or signs of leaking. If the home’s hardwood floors are hidden under lots of rugs, the owner might be trying to hide damage to the wood. If you can, discreetly lift up the rugs to check out what’s underneath. Look carefully at the windows. If there is any condensation built up inside the glass, it’s a sign they’re leaking and likely need to be replaced. Paint that is flaking or bubbling around the windows might also indicate that moisture is getting in. Pay attention to cracks in the ceiling. Small hairline cracks are normal and usually nothing to worry about; they’re just a sign of the home settling. Larger cracks might indicate a problem with the foundation. Open and close doors and windows. If they stick or are hard to open, this might be another clue that there are foundation problems. Feel around windows, doors, and electrical outlets for any drafts. While drafts can be easily fixed with caulk, they’re also a sign of deferred maintenance. If this is a home you feel you might want to make an offer on, take pictures of any damage as you walk through each room. You won’t remember everything, and being able to see the damage again can help you craft a better offer. When you buy a home, you’re also buying neighbors too. Look carefully at the people you might be living next to (this includes any homes that border the backyard as well). How well do they maintain their house and yard? Do they have any children or pets? Are those pets outside barking right now? Is their trash put away neatly or is it flowing all over the yard? Are there lots of cars in the driveway? If you think you might make an offer on this home, go for a walk to get a feel for the neighborhood. Knock on a few doors and talk to the neighbors. Ask them how they like living there, what the neighborhood is like, and anything they know about the home you just toured. Is there anything they wish they’d known about the neighborhood before they moved in? You might uncover some enlightening information by simply talking to the people already living there. It’s also important to visit the neighborhood on different days, and at and different times, especially weekends. You’ll want to find out beforehand if you’d be living next to a late-night party animal. You might not think closet space would be a deal-breaker, but once you’re in your new home for six months and there’s no room for any of your stuff, you’ll think otherwise. Storage space is an incredibly important feature to pay attention to. No one wants to live in a sea of clutter, but that’s exactly what you’ll be doing if you buy a home that won’t fit your current lifestyle. Unless you’re ready to downsize, you need a home with adequate storage. Older homes typically have fewer closets and pantry space, so count closets and measure shelf space before you make an offer. As you walk through the home, look through each and every window. Is there some distance between you and your next-door neighbor, or can they see your freckles when you’re at the window? A lack of privacy might not seem like a big deal on day one, but after a year, it might really start to bother you. Make sure you know what you can tolerate in terms of privacy. Look carefully at how the home is laid out. Are the doors and windows positioned so that you can open everything up and take advantage of the breeze come summer? The flow of a home is something that buyers often overlook. However, keep in mind that opening the windows will lower your utility bills. Good airflow also keeps moisture moving through the home, and may help reduce allergies. It can be helpful to people watch for a few minutes before walking into an open house, since the behavior of people coming and going can give you some important clues. For example, if you notice that people aren’t spending a lot of time touring the home, it might mean there are some issues. If you notice people lingering around the yard and taking their time talking to the agent, it might indicate that the property isn’t going to last long. When you’re inside the home, pay attention to what other buyers are talking about and looking at. Their comments can clue you in to how hot, or not, the property is. So, you’ve looked around and you’ve got a good feeling about the house. What should you ask the agent when you wrap up your tour? 1. What Problems Are Present in the Home? This is probably the most important question you need to ask the listing agent at an open house. In most states, agents have to disclose all known problems with a home, especially when it comes to structural problems or code violations. However, not all states require full disclosure, which is why getting a home inspection is so important. While you might be tempted to save money by skipping an inspection, not getting one is one of the most common mistakes new home buyers make. Ask the agent to give you a copy of the seller’s disclosure, which details every issue the current owner knows about. 2. Have There Been Any Price Changes? The listing agent can tell you about the home’s listing price, and any drops that have occurred since it went on the market. Price fluctuations can give you some important clues. First, they indicate that the seller is flexible on pricing and might be willing to drop it down even further if you make an offer. Several price drops might also indicate problems. For example, previous buyers might have made offers and hired a home inspector, only to discover issues that made them walk away. The owner then might have dropped the price to account for these issues, or simply to entice a new pool of buyers. This information is easy to find out on your own, so look at this question as a way to gather information indirectly. For example, the agent might let you know that it’s newly listed, and there has been a lot of interest already. This, in turn, lets you know that if you love the house, you might want to make an offer that day. On the other hand, if the agent says that the home has been on the market for a while, they might explain why it hasn’t sold yet. This information can give you some leverage if you decide to make an offer. 4. Have There Been Any Offers on the Home? The listing agent will likely tell you right away if there’s been a recent offer on the home. After all, they’d love nothing more than to start a bidding war that nets them a higher commission. However, if there are past offers that the owner walked away from, this might mean they’re more motivated to sell now. It might also mean the opposite – that they’re firm on their asking price and not willing to negotiate. This is an important question that many home buyers don’t think to ask. Remember, you can always change the look and feel of your home, but you can’t really change the neighborhood you live in. Ask the listing agent to tell you about the neighborhood. How much traffic comes through? What is the speed limit? Is this home a good representation of other homes in the neighborhood? 6. What Are the Local Schools Like? Schools are a huge selling point for homes. Even if you don’t have children, it’s important to know what kind of district you’re moving into, and how well it’s rated. Why? Because homes located in great school districts sell much faster than homes located in low-performing districts. If you love a home but it’s in a low-performing district, then it might take longer to sell when you’re ready to move on. However, if it’s in a great district, you’ll probably have more potential buyers coming through the door. 7. Why Are the Owners Selling the Home? This is a tricky question that agents often can’t, or won’t, answer truthfully. The reason is that a seller’s agent has their client’s best interests at heart. And, this means not disclosing a client’s personal information, including their reason for selling. So, why should you ask this question? Well, because some agents will tell you why their client is selling. In some circumstances, this knowledge can give you more leverage during negotiations. At the very least, an agent’s hesitation or body language can clue you in that there’s more to the story, and part of that story might mean problems with the house itself. If you’re working with a buyer’s agent, they might be able to dig around and uncover what’s going on. 8. What Feedback Have You Received From Other Agents? This is another one of those questions that an agent may or may not answer truthfully. But it’s worth asking, because you might get an agent that has no qualms talking about both the positive and negative feedback they’ve received from past showings. There are some signs that can clue you in that this perfectly staged home isn’t as “perfect” as it seems. Homes that smell strongly of cleaning products, Febreze, or other air fresheners might be trying to hide the smell of pet accidents, cigarette smoke, mold, or mildew. As you walk through the home, look carefully at the floors and ceilings. Are there any stains on the carpet that might be from pet accidents? Any stains or discoloration on the walls and ceilings that might be from a smoker or a leaky roof? If you walk into a home and notice the paint is old and chipped, the faucet is leaking, and there are weeds in the garden bed, keep in mind that an owner who doesn’t take care of the little things probably hasn’t taken care of the big things either. These clues might indicate that there are larger problems with the home, such as a leaky roof or old plumbing. If you notice that there are several homes for sale in the area, put on your sleuthing hat to find out why, as this trend could indicate that there is an issue. For example, perhaps crime is an increasing problem and people are looking to relocate to a safer neighborhood. Or, maybe a new development is scheduled to be built in the upcoming months, and owners don’t want to deal with the increased traffic and noise of construction. Whatever the reason, it’s important to find out what’s going on in the neighborhood so you don’t end up being stuck in an area where you’re not safe or comfortable. A home with a brand-new kitchen or updated bathroom can be appealing to buyers. 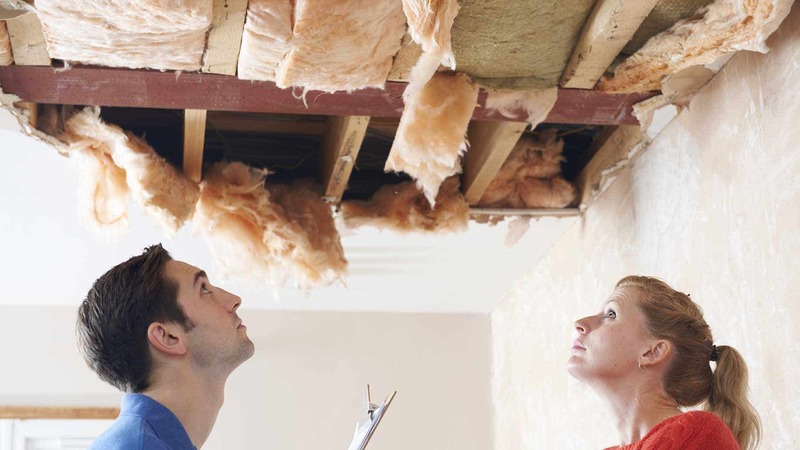 However, it’s important to keep an eye on these renovations, as some homeowners might cut corners, or go with a budget contractor, in order to make their home more salable as quickly as possible. It might look great during the open house, but a shoddy job will come back to haunt you after you move in. If you decide to make an offer, make sure you hire a home inspector or structural engineer to go over every inch of the home; they’ll be able to spot a poor job in a heartbeat. This will also help you avoid a DIY home improvement disaster, which can get very expensive. You’ve walked into the home of your dreams, only to find that the “finished basement” isn’t quite finished yet. The drywall is still stacked in the corner, and there are open wires running through the studs in the ceiling. What’s going on? Unfinished construction should be an immediate red flag. It could be a sign that the seller ran out of money for the project, or that the contractor ran into structural problems or other issues that they didn’t want to deal with. Whatever the reason, you need to find out why the seller was willing to hold an open house before everything was completed. Keep in mind that banks are sometimes reluctant to loan money for a home with any unfinished construction. If you fall in love with a home in this category, contact your bank before you make an offer to confirm they’ll approve your mortgage. You’ll also need to look carefully at your finances and determine how much it will cost to finish the project yourself. As you might imagine, there is some open house etiquette that you should follow. Some homeowners request that potential buyers remove their shoes before they tour the home. This is much more likely if it’s raining or snowing outside. Save yourself time and energy on open house day by wearing slip-on shoes with socks. Children and pets don’t belong at an open house. Children can easily break something or make a mess at the hors-d’oeuvres bar, and pets can track in dirt from outside. Leave your kids and pets at home with a sitter. Agents want to know who’s coming and going in the home, so they’ll likely be front and center when you walk through the door. Even if you’re “just browsing,” be polite and introduce yourself. Most agents put out a sign-in sheet so they can continue to market the home once the open house is over. It also helps them track how much foot traffic the open house generated. Be nice and sign in. You don’t have to include your contact information if you’re not interested in further marketing from the agent, but putting down your name will at least ensure that the agent gets an accurate traffic count. It’s good etiquette to wait until others have vacated a room before you enter. This gives the other prospective buyers time and space to really look, instead of feeling “pushed out” by another buyer who’s looking at the same space. If you notice things like mold under the kitchen sink or a water hose lying on the grass that might pose a tripping hazard, mention it to the agent. They can quickly fix the problem, or, if it’s a larger issue with the home, they can alert the seller to address the issue. Even if you’re not quite ready to buy, it can still be worth your time to visit open houses, especially if you have an idea of where you’d like to buy someday. Open houses can help you determine what you really want in your home, and what you don’t. You can also get a better feel for the neighborhood you’d like to relocate to. If you’ve never been to an open house, don’t feel intimidated. Many first-time home buyers think that they’ll be hounded by a pushy agent trying to sell the home; however, the majority of agents know to step back and let buyers look at their own pace. How has your experience with open houses been?